If you don’t know know who is Chulhun Park is, you’ll do now. 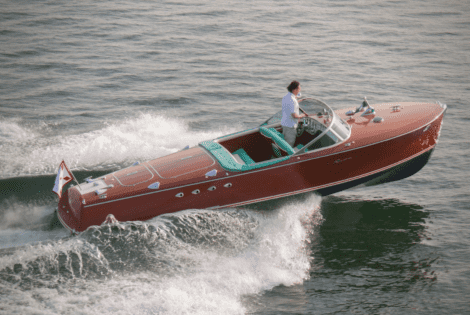 This yacht right here is the product of Park’s genius. 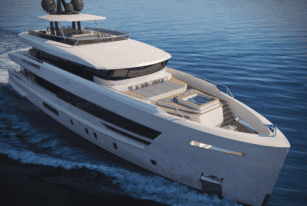 The South Korean chief designer at Latitude Yachts shows off this elegant silver superyacht, which might be a concept at the time being, but could soon be actualized. 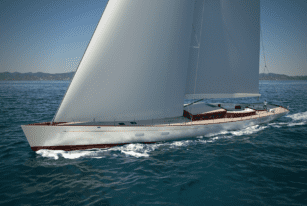 Park hopes to team up with Palmer Johnson Yachts to make this behemoth of a dream into a reality. 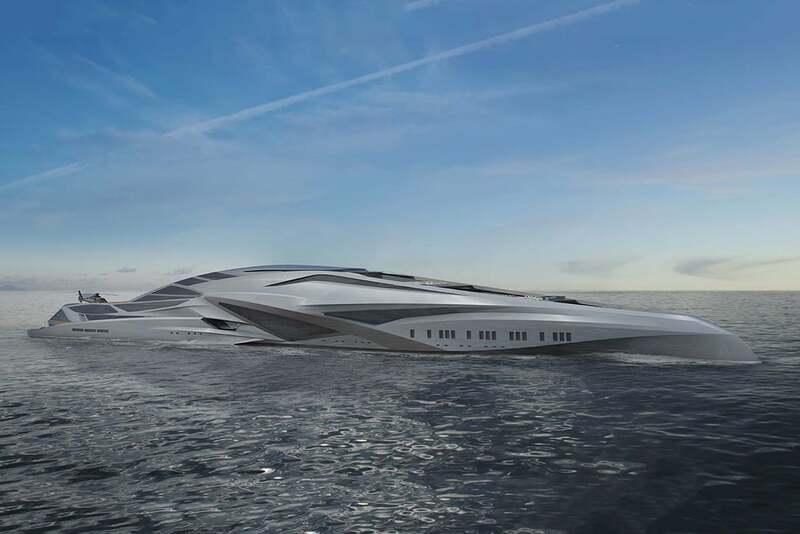 Called the Valkyrie, will be the largest superyacht once it’s completed. The luxurious Valkyrie Superyacht spans 229 meters, eclipsing the current largest superyacht in the world, Azzam, by 49 meters. The Valkyrie has enough rooms to accomodate a total of 52 guests in 26 super lavish cabins. That’s on top of 92 crew members onboard, by the way. The Valkyrie includes a full-sized casino, art gallery, convention hall, and a theater. In that regard, it’s almost like a full-fledged cruise ship. 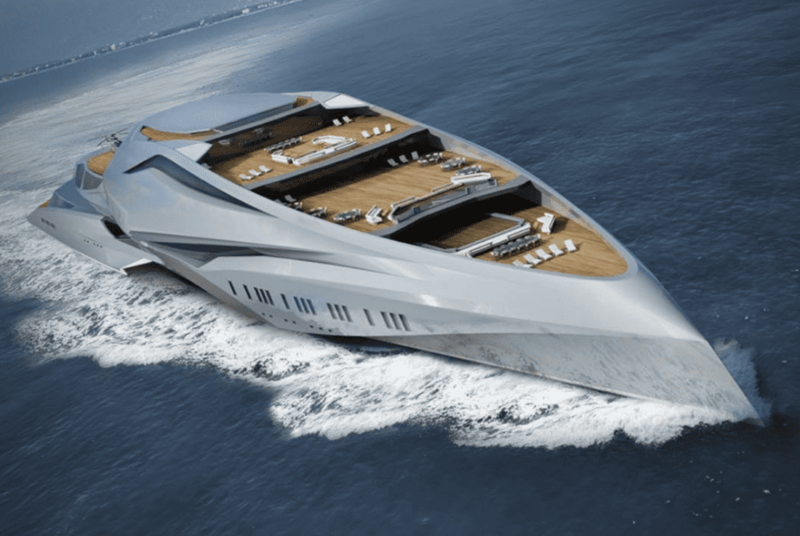 In terms of specs, the Valkyrie Superyacht will come equipped with a trimaran hull from Palmer Johnson. That means less drag at high speeds for optimum stability. But perhaps the most wonderful aspect of this ultra-posh superyacht is that you don’t need to be super rich to get in. You’ll need heaps of money, still, of course, but you don’t have to be Oprah-level rich. 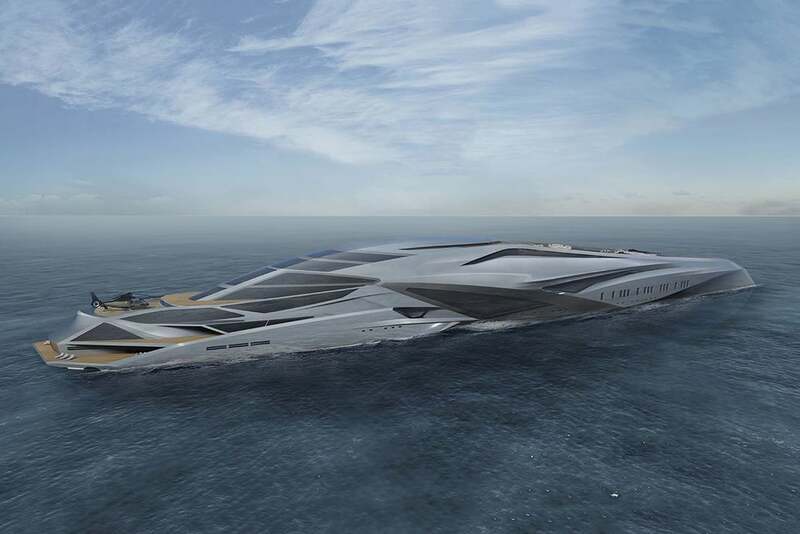 Park wants the Valkyrie Superyacht to be a public vessel instead of some exclusive venue for the three-comma club. That’s a billion-dollar club if you’re not versed on rich people lingo. Suffice it to say that such an enormous and opulent concept will require enormous amount of time. Not to mention topnotch engineering. And money, as well — the build is estimated to cost somewhere around $800 million.